Going on a cruise with the family can be the perfect way to spend a few days together. 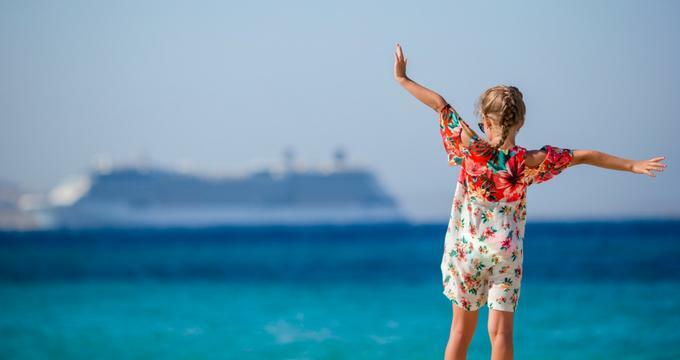 While there are a lot of cruise lines that offer packages for adults, a number of companies provide trips with family-friendly themes, particularly involving kid-friendly shows and cartoons. If your kids love watching Dora the Explorer and SpongeBob, then they must watch a lot of Nickelodeon. If so, then your kids are going to love going on a Nickelodeon-themed cruise, where they can meet and greet their favorite characters and play fun games with them, Nickelodeon style! Nickelodeon’s venture into the cruise industry was the network’s way of expanding how families can entertain themselves. The first ever Nickelodeon cruise was set with the Royal Caribbean Cruises Ltd. back in 2008. Departing from Miami, it took more than 4,000 passengers on a 7-day family-friendly summer vacation. In 2010, Nickelodeon announced an exclusive partnership with the Norwegian Cruise Line (NCL), sailing with the Norwegian Epic and the Norwegian Jewel. This time, the cruises were a lot more kid-centric, featuring Nickelodeon-themed interactive shows and pool parties, and throughout the event, children were treated to a meet and greet with their favorite Nickelodeon characters. The NCL cruise was especially known for its pajama breakfast parties, where they started their day with their favorite characters. Other notable activities included Nick LIVE! events, which featured poolside entertainment, performances, and the Nickelodeon signature slime, which kids adored. This went on until 2015, when the partnership ended. Fortunately, collaboration between Nick and Australia’s P&O Cruises came along. Here, Nickelodeon and Nick Jr. channels were featured in kids’ club TVs and they also held Nickelodeon movie nights outdoors on giant movie screens on the ship’s deck. For starters, make sure you’ve got the budget to go on a cruise with your kids. The average cost is about $50 per person per day of the cruise, although these rates can go lower if you manage spot discounted packages early on. Consulting your travel agent will help, but sometimes you can find the best deals online yourself. Once your kids are on board (pun intended) with the idea, you’ll also want to check for yourselves. While Nickelodeon cruises tend to be centered around children, the good ones will find ways to entertain the grown-ups as well. Make sure you know what’s in store so that you know how to keep yourself entertained after you’re done watching your kids play. Good preparation is also key to making the most of a cruise trip with the family. Prepare enough clothes, especially for parties and themed events (i.e. formal wear, etc.). You might also want to prepare medication for motion sickness. Finally, make sure you stay on schedule and keep yourself updated. Try to arrive at least a day before the cruise so that getting on board won’t be too much of a hassle. Follow the cruise’s message boards online in case of any changes or announcements. Like other kid-friendly cruises, Nickelodeon-themed cruises will have their own kids’ section and babysitting services; make sure you know about them (i.e. location, fees, etc.). That should also be the first place you check out once you get settled. While every cruise trip is unique, proper preparation and planning ensure you make the most of every experience. If your kids really love Nickelodeon, your next cruise trip might just be one of their most memorable family experiences.